The Savannah Center For Blind and Low Vision can only exist with your generous donations. We have set a goal for our 2018 Vision Quest of $200,000.00. All donations are used for the support of our students, programs, and their special needs. We hope you will support us with your cheerful and generous donations which will allow us to continue to operate the Savannah Center of Blind and Low Vision free of charge to our students, and to support the needs of Blind and Low Vision individuals. Please consider a donation, no donation is too small, whatever you feel comfortable giving will be greatly appreciated. One in four families in the United States is touched by low vision or blindness. Chances are you have a family member, relative or know someone who has low vision or blindness. Savannah CBLV is here to help. $5 will provide paper for a student learning to write braille. $10 can purchase a slate and stylus for writing braille. $20 provides a talking watch. $45 will buy a long white cane for safe travel. $120 purchases a braille watch. $350 provides a portable talking book player. $800 will provide a low vision exam and follow-up service. $2000 can purchase a closed circuit television for viewing books in extra large print. $4000 purchases a complete Independent Living course for one student. The Savannah Center for Blind and Low Vision is a 501(c) (3) non-profit organization dedicated to providing high quality blind and low vision rehabilitation service in Southeast Georgia. All gifts to Savannah CBLV are tax deductible to the extent allowed by law. No matter which method you choose to make your donation we ask, if you haven’t already, to Sign Up on the Savannah CBLV website. By doing so we can be assured that when we receive your generous donations we will be able to correctly attribute them to you. A gift to Savannah CBLV can be made online using either a major credit card, debit card or a PayPal account. You may choose to make just a one time donation or you may choose to make a recurring donation, either monthly, quarterly or yearly. A PayPal account is not required to make an online donation, we use Paypal only for card processing. A 3% transaction fee is added to cover credit card fees, bank fees, and other processing costs. Please consider chipping in an additional 3% so 100% of your donation amount goes to us. Make your check, money order or cashier’s check payable to Savannah Center for Blind and Low Vision. Enter the amount on the check using all numbers ($###.##), and do not use staples or paper clips to affix any correspondence you may choose to include. Include your name, address, daytime phone number, on your form of donation. The Savannah Center for Blind and Low Vision is committed to excellence in service provision to our students, their families and the community. Our generous Donors help us every step of the way through contributions, fundraisers, and volunteer support. Many of our friends have chosen to support our mission through sustained, planned giving; in other words, by naming the Savannah Center for Blind and Low Vision as a beneficiary in wills and bequests. These avenues of generosity include charitable bequests, life-income gifts through charitable remainder trusts or a charitable gift annuities, retirement plans or IRA beneficiary designations, life insurance gifts, and charitable lead trusts. By sharing our vision and pledging lasting support, the Savannah Center for Blind and Low Vision can continue our mission today, tomorrow, and beyond. For our generous benefactors, we are extremely grateful. If you choose to name the Savannah Center for Blind and Low Vision as a beneficiary please let us know by Clicking on the button below. 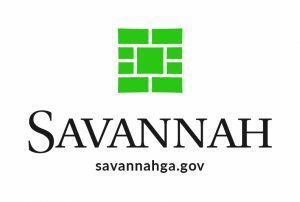 Legal Name: Savannah Association For The Blind, LLC. We hope that you will let us know when you have made a beneficiary designation for CBLV so that we may thank you and include you in our Legacy Society. Honor someone with a gift to the Savannah Center for Blind and Low Vision. Hundreds of people who are blind or vision impaired depend on Savannah CBLV for quality services so they can become more independent and live with dignity. A gift will support our mission of providing high quality vision rehabilitation services and honor someone at the same time. A gift to Savannah CBLV can be made online using either a major credit card, debit card or a Paypal account. A Paypal account is not required to make an online donation. We use Paypal only for card processing. You may also send a check by mail. If you use Amazon.com to do any of your online shopping, consider using AmazonSmile and designate ‘Savannah Association For The Blind, Inc.’ as your favorite charity. This is a no-cost way for you to help us and Amazon will donate 0.05% of each of your purchases directly to the Savannah Center for Blind and Low Vision.